January 3, 2019 Blackbaud, Inc.
Social good organizations and private companies have many differences, but they also have many things in common and can benefit from some of the same strategies. Lean principles are being used more and more often among startups and tech companies, and social good organizations are alsolso seeing the value of these principles: thinking big, starting small, and seeking impact. 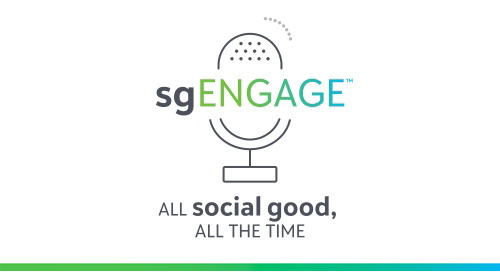 In today’s episode, Steve MacLaughlin talks with our guest Ann Mei Chang, author of the book Lean Impact: HJow to Innovate for Radically Greater Social Good, about how some of these lean principles are being implemented in social good organizations. Listen in to hear what she has to say about transitioning to using lean principles, getting comfortable with failures, and ensuring that a successful program can scale.